If you are sick of self-help guru’s telling you WHAT to do, then this is the place for you. These gurus do my head in because they label themselves as a coaching specialist, influencer or entrepreneur with no skills, training, no level of success at all. If you are really ready for massive change, when you are ready to invest in YOU, then you can finally rest knowing this is the ONLY PLACE you need because all the tools you need to be a greater success than these supposed ‘gurus’ is here for you to use. This is Stuart writing this, I prefer to write this myself to give you the real me not a highly edited script by a copywriter. I am going to give you a brief look in to the Elite Mindset Institute and the journey to get here. 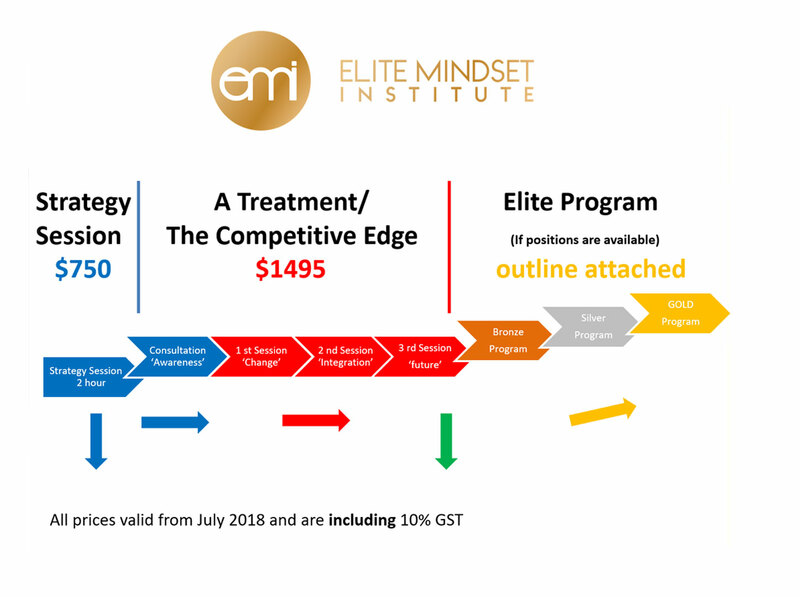 The short version to give you an idea on Elite Mindset Institute (EMI) so you don’t have to read the longer version that some find fascinating. EMI has been created from a 12-year journey and has evolved into a fully supported learning place for those who want to take control of their lives and to push through the limits and barriers that may have limited or stopped them in the past. EMI is really for the elite and those on the verge of a breakthrough. In Sport or Business, EMI is about pushing the limits in your mind. I am not a huge fan of average and realistic. Therefore, my clients happen to be 34 World Champions in sport, the arts, science and very successful Entrepreneurs. The tools I have created to keep my mind sharp and in the game are the ones that you will have access to in when you enrol. I have not had the guidance or the tools in my professional and anyone to guide me through establishing a business, so I have ploughed through it myself and with great success. As I found a new barrier or hurdle in my life and business, I found a way through it and I have now created tools, processes, tracking charts and resources designed to facilitate change at the unconscious level… to help everyone. Formerly ‘The Athlete’s Secret Weapon’ I was forced into making a change at the end of 2017 and on reflection, my business is more than athletes now and it is greater than me! The Elite mindset in sport and business is the same so it seems only natural that the name reflects that. Athlete’s Secret Weapon was about me and now the change to an Institute now puts the focus clearly back on you to learn in a safe and friendly (sometimes direct) environment. I started in this industry 12 years ago now as a sole trader and individual hypnotherapy practitioner with a passion for working with athletes. I built the business based on results and over 5 years on results and the clients were awesome and the results matched their commitment. After 5 years, I was introduced to a business strategist and it was clear that the results I have created and the tools I developed to help people along the way were all unique. And suddenly, we were constructing something huge with 7 investors and team members all helping to develop the systems and strategies to help me to reach more people worldwide. The business systems and products developed under the brand of Global Mind Mastery. By this time, I had created the Meta4Kids collection of short stories for long term change, created a concept that is now a published book, ‘The Dear Diary Process’ and had an 8-week online program for athletes initially called ‘The Athlete’s Secret Weapon. I loved the name that much it became its own company that was for my individual clients. As my clients were 75% athletes at the elite level it only seemed logical. My business strategist then invited me to partner with him and many other companies in a huge corporation that, if all those involved were fully committed would have transformed the way we approached education, finances, banking, business, health and life. Unfortunately, the concept did not get off the ground and the corporation of 120+ dissolved. January 2017… I took a deep breath, refocused on what is important to me, reset my Target, reset my health and I set out to build myself as an influencer in the field of Peak Performance Mindset again and on a grand scale. Athlete’s Secret Weapon was firing again, incredible clients appeared and in such a way that still astounds me… today I use this experience and knowledge in my client treatment and programs. Late 2017, I found an operational challenge that could only be resolved by a brand and company change. Formerly ‘The Athlete’s Secret Weapon’ It was time for a change and on reflection, my business is more than athletes and greater than me! The elite mindset in sport and business is the same, so it seemed only natural that the name reflects that. Athlete’s Secret Weapon was about me and now the change to an Institute now puts the focus clearly back on you to learn in a safe and friendly (sometimes direct) environment. EMI has many varied programs, tools, resources and are available from $9.95 USD. For more information on the products, programs and where to start… click here to go to the SERVICES page.